You don't want to disappoint your mother. It's just that most of the things you do fall short of her expectations. So why mess up something as simple as Mother's Day? 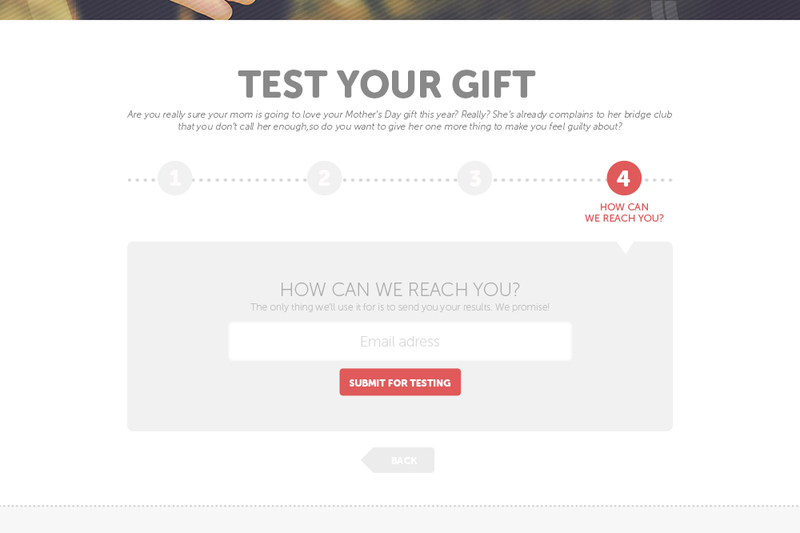 Intelligift is a service that lets people focus group test their gift ideas with real moms. 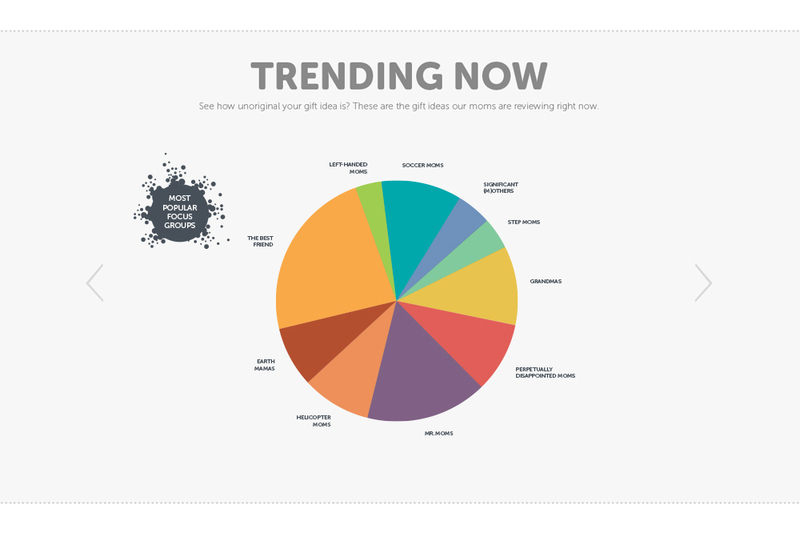 Users told us about their mom and what they were planning on giving them, and we focus group tested each idea with targeted moms. 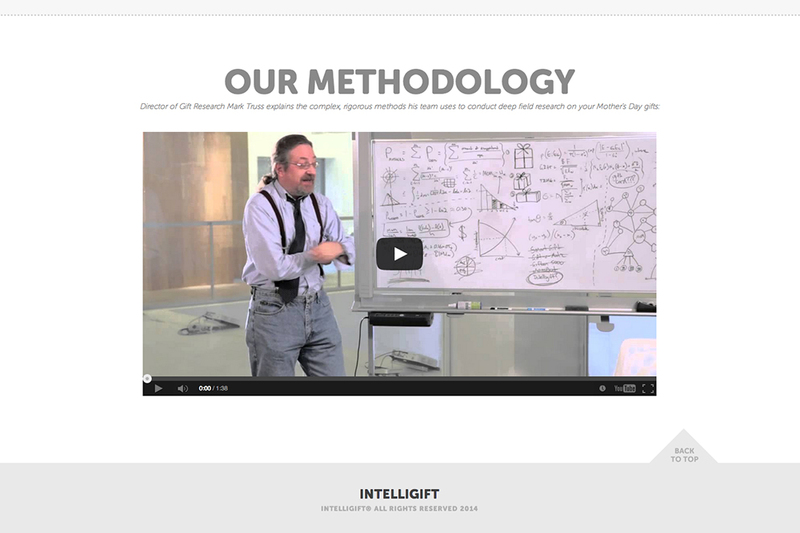 As a result, each user received an indexed score with detailed feedback, along with a video of their focus group session. Don’t Blow it this year. 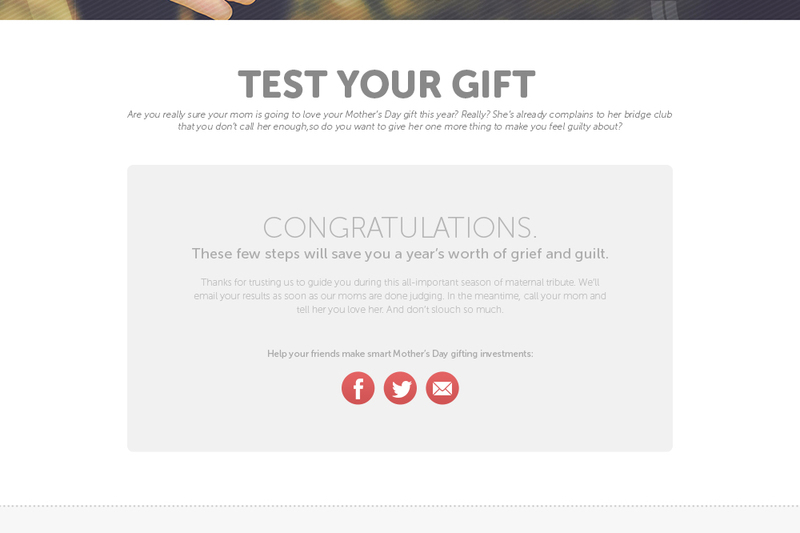 See what real moms think of your mother's day gift. http://t.co/UywwNZ1Lc7. Features: Mashable, Fast Company, Ad Age, Creativity Top 20, LBB, etc.